This week's highlights include updates to Astropad Standard and Astropad Studio, Oilist reaches version 2.0, and the Lovecraftian horror Cthulhu Chronicles infests iOS with its spooky tales. Rogue Amoeba's soundboard app now supports MIDI-controlled playback. Any MIDI-compatible device can be used to trigger sounds, as well as fades, and other volume changes. Also new is multi-tile editing, making it faster to change common settings or colors. Smaller improvements include keyboard shortcuts for master volume control, notes for Sets, and better VoiceOver labels. Get it for macOS: $39. Requires macOS 10.10 or later. Developed by MetaArcade, Cthulhu Chronicles is a narrative horror game that distills the roleplaying game Call of Cthulhu into a "story-driven intuitive experience" for mobile gamers. Playing as one of a number of archetypal investigator characters, players have to pursue missions involving cults, sinister creatures, and horrors from beyond space. Based on the Lovecraftian horror stories set in 1920s New England, each story offers their own challenges, and also plays part of a wider campaign. Each story has multiple endings, with investigators able to find numerous clues, unlocklocking new storylines and outcomes over time. While skills will help players overcome enemies and accomplish special feats, a spinning wheel of fate also introduces chance with failure potentially providing a minor setback, or death or insanity. The launch version will include five unique scenarios, with four more arriving soon. The big change arriving to both Astropad Studio 2.0 and Astropad Standard 2.4 is support for Luna Display, a hardware companion consisting of a small plug that attaches to a Mac, turning an iPad into a wireless second display. The hardware, available for pre-order at $69.99 in both USB-C and Mini DisplayPort versions, is currently estimated to complete shipping of Kickstarter pre-orders by December 2018, followed by new pre-orders by January 2019. Both the Mac and iOS apps needed for the Astropad system to work will have to be updated to use Luna Display on its release. Astropad is also warning users that support for third-party styluses will be discontinued at the end of the year, leaving it only supporting the Apple Pencil. Along with the hardware changes, the Standard edition also has a refreshed user interface, with settings and shortcut preferences available from the iPad sidebar. Increased compatibility with Gimp, Corel Painter, and FireAlpaca is included, along with fixes to conflicts with third-party Mac extensions, including Magnet and Synergy. Get Astropad Studio for macOS: $79.99 per year. Requires macOS 10.10 or later. Get Astropad Standard for macOS: $29.99. Requires macOS 10.11 or later. The smart home security service Canary has updated its iOS app with a new personal security function. Available in the United States, Safety Button powered by Moonlight effectively gives users an on-device panic button, for added peace of mind when they are out of their home. Users can open the app and hold their thumb on the Safety Button if they are feeling scared. Once they are in a safe position, the button can be released and their four-digit PIN entered as confirmation they are OK. If the user is in danger, they can let go of the button and not enter the PIN, which will trigger an alert to local police, complete with the device's location. This also allows for the alert to be sent in the case of robbery or if the iPhone is out of the person's grasp for another reason. Safety Button is included in the Canary Membership, which extends the usability of the company's various security-minded products. The membership costs $9.99 per month, or $99 per year. Get it for iOS: Free with membership. Requires iOS 10.0 or later. Oilist takes photos and other existing images and transforms them into another art style, such as abstract painting or impressionism. Rather than applying simple filters, it "paints" images using simulated particles applied via brush strokes. The process can be viewed in real-time, and influenced either directly or by tilting or rotating a device. The 2.0 update introduces live style previews, and over 40 new styles, each with three levels of abstraction. 3DTOPO is also promising faster and smoother painting, with higher-resolution brush work including an added detail brush pass. Painting speed can be adjusted. Get it for iOS: $2.99. Requires iOS 11 or later. 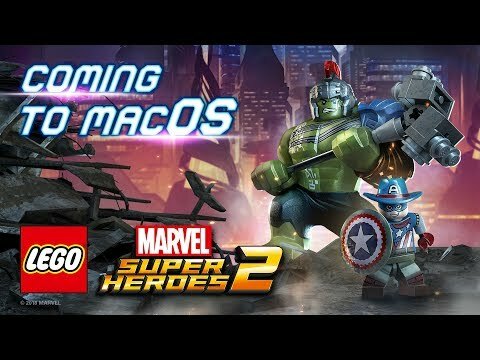 Feral Interactive has announced it will be bringing Lego Marvel Super Heroes 2 to macOS this summer. The Warner Bros and TT Games sequel pits fan-favourite super heroes and super villains against each other in an all-new adventure, in a battle across the time-tossed city of Chronopolis. Offering 18 locations from Marvel properties to explore, players can choose characters from across a number of franchises, including from Guardians of the Galaxy, Spider-Man, Thor, Hulk, Black Panther, Doctor Strange, and others. Following on from the first game, the sequel introduces a new time manipulation mechanic to allow specific characters to change the state of in-game elements, helping players discover a variety of secret items. The game will allow up to four players to play split-screen through the brick-based adventure, both in co-op and in a battle mode, which offers a series of themed challenges and battle arenas. After spending eight months in early access, Dreamz Studio's MagiCats Builder has launched. The 2D platform game's main draw is that it includes the ability for players to create their own levels, with a high degree of customisation. Using a visual coding engine, the level's layout can be created and hazards placed at will, with a simple coding tool helping to alter things further. Once created, the levels can be shared with the rest of the community, and players can even challenge their friends to try their creations out. During its early-access availability, players have provided feedback that helped improve the game in a number of ways, including more character skins, more creation options, new enemies, improvements to the graphics, and multiplayer modes. Get it for macOS: Free. Requires OS X 10.10.5 or later, 4GB of RAM, and Intel HD 4000-series or better graphics. Jam City and Warner Bros' Portkey Games has added a new feature to its Harry Potter-themed game, introducing its first ever multiplayer event called "Duelling Club." 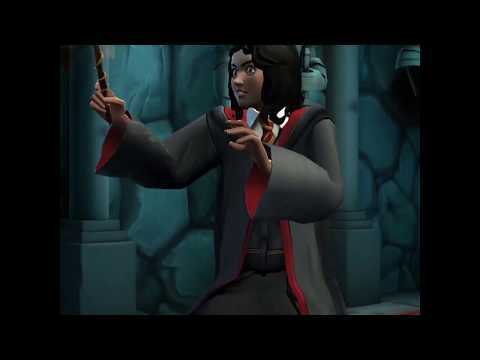 Players learn defensive spells in their first few years at the wizarding school, which the event puts to the test. The first limited-time event in the game, the club will let players take each other on in a spell-flinging competition. At the start of the event, which runs until July 15, all players are provided three tickets, with each able to buy entry into the duel. While defeated players forfeit their ticket, the winner keeps theirs, as well as a reward for each win. ....The hardware, available for pre-order at $69.99 in both USB-C and Mini DisplayPort versions, is currently estimated to ship in July 2019. Luma Display has started shipping pre orders as of July 2018. They estimate all preorders to have been shipped by December 2018. They’re accepting pre-orders at lunadisplay.com. Pre-orders will be fulfilled after Kickstarter orders, with an estimated delivery of January 2019. Cthulhu Chronicles sounds very interesting. I can't believe it is free. I wonder if there are IAPs?